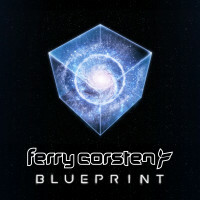 30 Aug The Ferry Corsten Remix Contest! The Ferry Corsten Remix Contest! We are stoked to team up with Trance legend Ferry Corsten and his label Flashover Recordings for this next contest!! DL the stems and get creative for a chance to win a call with Ferry, a Plugin Alliance 100% AAX DSP V1.5 Bundle with 48 plugins, some of iZotope’s best producer tools, a SUBPAC S2, LANDR Pro account and more awesome prizes. Ferry’s label Flashover Recordings looking for talent to break from the SKIO Community, so take advantage of this incredible opportunity to collab with one of the greats and a shot a getting noticed by the label A&R’s! Be sure to submit your remix early for the chance to get feedback from Ferry himself : ) You can edit and resubmit your remix on SKIO until the last minute, so take the tips he gives you and make your remix even better. The Contest Submission period begins at 11:00 AM Pacific Standard Time (PST) on August 24, 2017 and ends at 11:59PM PST on October 24, 2017. The winners will be selected by Ferry Corsten, Flashover Recordings & SKIO Music during the judging period. Employees of Ferry Corsten, Flashover Recordings, Redlight Management, & SKIO Music are ineligible. Entry must comply with the Official Rules. Link to ORIGINAL Remix Contest; The Ferry Corsten Remix Contest!